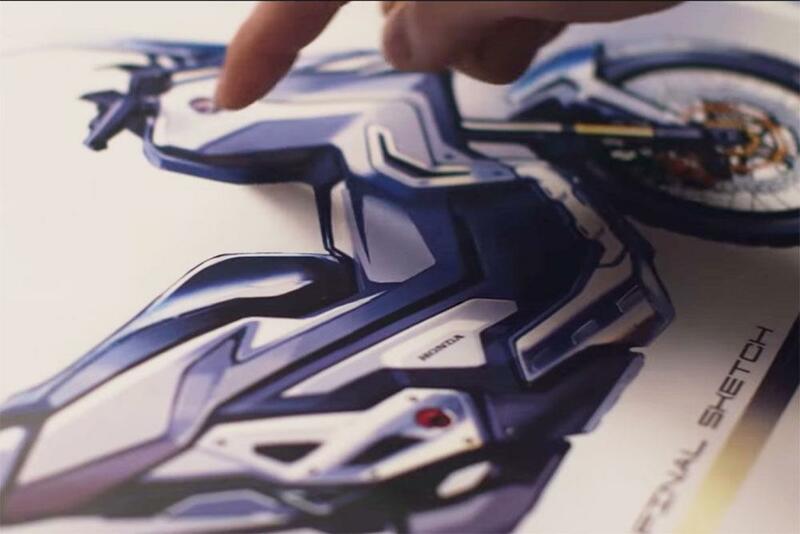 Honda have collaborated with a number of artists from all over Europe to create a number of pieces inspired by the design and purpose of the new Honda X-ADV adventure scooter. The idea that Honda had to create a scooter that would work both on road and off, is as different as each of the artist’s work with whom the Japanese manufacturer asked to interpret it. Forysth made a model that was a physical representation that’s based based around the contours of the scooter. Bertone created a mural that uses both organic and geometric shapes to illustrate the contrast in uses of the bike, as a city machine that can then be used to go exploring on. Bongiorni used a helmet as his canvas and created a piece that he used to create a 360-degree panorama of the bikes purpose, with one side representing the city before blending into the mountains and outdoors on the other side of the lid. As a designer and illustrator, Wüstefeld based his piece around technological innovations, using CAD software and natural materials to help him create his piece. Morel is a Parisian letter painter who worked natural and man-made materials into a piece that was based around the logo of the X-ADV. The X-ADV uses a 749cc parallel twin engine that is found in Honda’s NC series of motorcycles. It produces 53bhp and utilises the Dual Clutch Transmission (DCT) system. There are too modes to select, Drive and Sport, which affect the throttle response and also when the bike shifts through the gearbox. You can view all of the videos on the X-ADV web page.